The Toronto theatre school for young people, ages 7 to 17. “Very positive class experience. Self confidence improved so much. YSP. The Toronto Theatre School. Get to Know Us. The Yonge Street Players Theatre School (YSP), is the Toronto theatre school for young children and teens. Founded in 1987 by artistic director Lisa Seward, the school emphasizes risk-taking, improvisation, creative drama, character creation and performance skills. YSP has provided a creative outlet for over a thousand young children and teens in the greater Toronto area since it opened its doors. YSP also won the YTV Award For Comedy, judged by Eugene Levy and Jim Carrey. Lisa has a Degree in the Theatre Arts from The American Academy in New York City and a Honours Degree in Psychology from York University. She spent a year working towards her MSW at U of T before deciding to pursue her own direction with drama therapy in private practice. 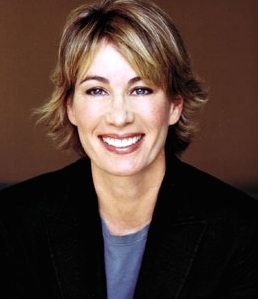 Lisa started Yonge Street Players (YSP), a Toronto theatre school for youth in 1987 because she believed that children and teens needed a creative outlet, and that many had the ability to be downright funny. Lisa tapped into a wealth of talented youngsters and teens that later became her Pint Size Players and elite Teen Improvisors. It was not until YSP opened its Friday Night Live performance at the original Fire Hall Theatre at Second City downtown, that others began to see that Improv and young people were a perfect combination. Just for Laughs and The Comedy Channel were the first ones to sponsor Lisa’s Yonge Street Players in those early days. Lisa is forever grateful for their support and belief that young people could excel when taught to find their own "humourous take on life". Every Saturday, Lisa provides a one of a kind, creative venue for young people interested in learning improv and comedy. Lisa’s son, Ty, who has been at YSP since he was six years of age, is now a working actor, a valued member of the YSP team and a mentor to many of the students. Since our focus is on creating original characters and sketch comedy reviews, each class is full of energy and fun, fostering a positive attitude on the part of every student. YSP welcomes all kinds of young people, from age 7 to 17. Each class combines warm-up exercises, improvisation, scene study, monologues, commedia del’arte, and performance techniques. The YSP program encourages each student to contribute to the ensemble with an emphasis on friendly critique and peer direction techniques. Every class starts off with high energy and fun warm ups to get the children feeling happy and ready for the creative challenges ahead. Our Teens will be concentrating on small pairings and group warm ups to facilitate a sense of fun and readiness to leave the demands of their week at school behind them! For the younger children's classes we progress to small and large group ensemble plays whereby the children choose or are coached to find their voice in playing a new character in a theme-driven scenario. They could be citizens stuck in the midst of a dilemma in their town or deciding what to do with the monster under their bridge; to capture it or to learn from it? To set it free or speak its language? The children ALL create their own character roles (bakery owners, physicists, police, business people, entertainers, parents, tourists )and are encouraged to give opinions and join together in purposeful scene work. The children help one another and critique each another with respect and commitment. Building self-confidence as they flex their creative muscles each and every week makes for excellent drama and comedy. The children also learn the criteria for a good scene, how to add emotional range and physical awareness. The children practice new Improv challenges each week. Boredom is never a concern. The Teens focus on creating small scenes in 2's and 3's and performing their original material for each other. 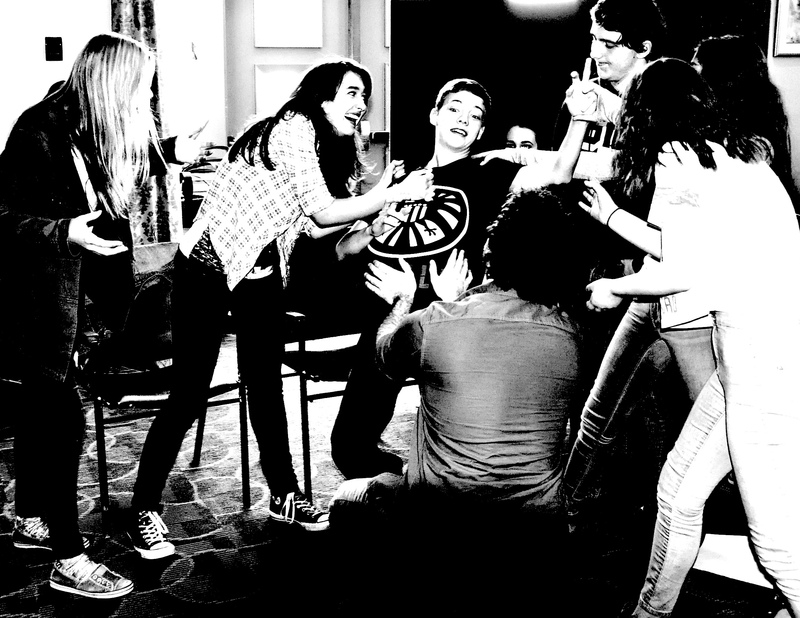 Both Lisa and Ty add to the content of their scene work in a seamless manner as the entire group of teenager actors support and create as a whole. It is an incredible experience for the teen and the teachers. It is a unique approach to give this level of autonomy and confidence to one another as they find what makes them laugh - out loud! The teens give 100% each class and often comment that YSP is the one place where they feel they can forget about everything stressful, have fun and ACT! The side coaching adds to each scene as they Teens review their sketch comedy and add elements of drama and learn about physical comedy. They learn that silence can be powerful for a character and that listening is a key ingredient. They learn about the needs of an audience; they need to feel the acting is genuine and not forced. The Teens become strong for each other during brainstorming exercises; cliques are not an issue at YSP. The Teens learn the pillars of what makes a good scene and learn to add emotional range and physicality to their work. Our Players are some of the nicest and friendliest children and teens you'll ever meet! Donut Days, Improv Olympics & 'Check-ins' with each Player are great traditions! This 30th season we will invite parents to 'eavesdrop' after our fall session ends in December. Players are invited to join us for the winter and spring sessions. We will also have a parent's day at the end of classes in June 2018. Our 30th season means one thing for us this year: continue the fun and the laughter & the excellence that has become Lisa Seward's YSP. "The small theatre school that leaves a BIG impression for years to come"
What will my child get out of the classes by the end of a semester? New friends, greater self-esteem and the ability ‘to think on their feet’ while thoroughly enjoying the process of Improvisation. They will have the most fun they've ever experienced in a drama class. In fact, many children come back year after year! The students learn how to create and execute original sketch comedy scenes. They will also learn how create the pillars of a good scene or story and perform it with confidence and their own imagination. They will learn to master the warm up exercises and create their own characters from Day 1. The class is high energy and fast paced...a great combination of fun and structured learning. Will taking classes at YSP help my child or teen gain acceptance into an Arts School in the city? While we can make no guarantees, YSP classes do provide “group audition experiences” that will benefit potential art school candidates. These experiences include group transformations, taking direction and bringing creative energy to the group. Lisa will always have time to write reference letters for each art school applicant. Is everyone outgoing at YSP? Do you have shy students? Do you have to have to be funny or have experience in Improv? There are all types of personalities at YSP: Outgoing,shy,intellectual, competitive, artistic and bright! 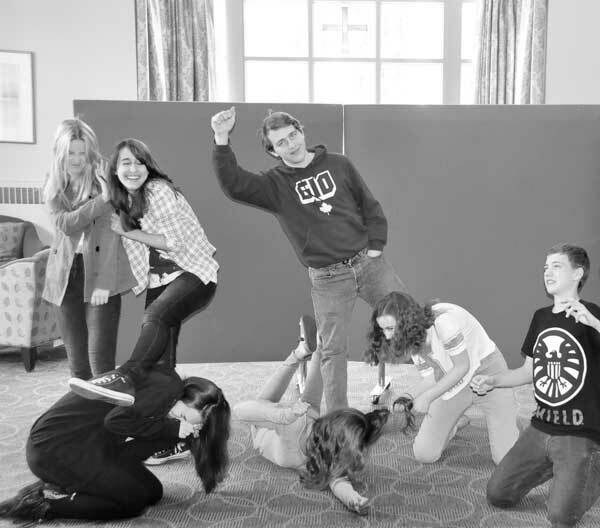 We believe that all young people can benefit from Improv classes and flexing their ‘funny bone’. Can my child try a class before we register and pay? Yes, in fact we insist. Since we opened our doors in 1987- we have only accepted payment after the student attends and loves the class! We guarantee they will love our classes! We will make every effort to make your child or teen feel comfortable and engaged from the moment they walk into our studio. Do you have to sign up for all 3 sessions each year (Sept- June)? “My children have been attending The Yonge Street Players classes for years. Initially, I put my daughter into the programme hoping to help her build her confidence. She loved the classes so much that my son, age 12, insisted that he also join. It is NOT easy to impress boys of that age (at least not mine!) but he loved Lisa and her approach also. My children leave Lisa’s classes bubbling with happy energy, eager to share their experiences.I am an elementary school teacher myself. “My child is quite hard to engage sometimes but was very happy with this experience. She really enjoyed being there. She is studious at school and used to taking dance classes, but not theatre. She can be very shy and this class really helps.”- RM. First class is a trial class for all new Players. Please call Lisa to discuss your child's class @ 416-823-5343 or register online and receive a confirmation call. By filling out this form, you’ll provide us with the details necessary to arrange a place for your child in one of our classes. Please call Lisa @ 416-823-5343 or email ysplisa@rogers.com with any questions. Near the corner of Yonge St. and Lawrence Ave. The Toronto theatre school for young people ages 7-17.